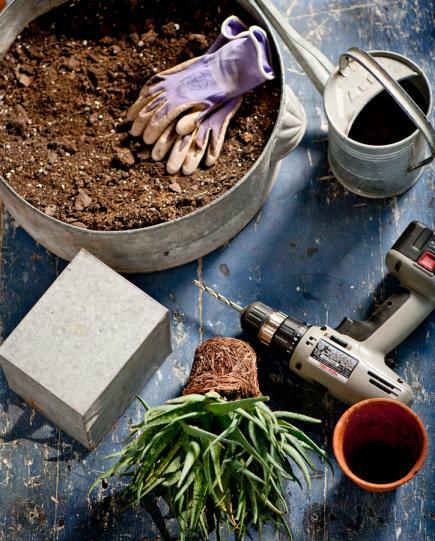 Give an overgrown root-bound plant a new home with our step-by-step instructions. 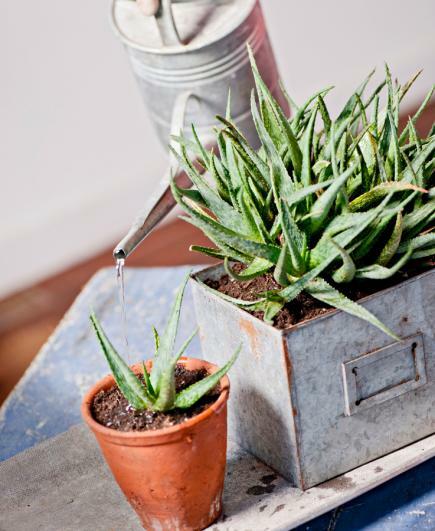 With a little imagination and help from a drill, this overgrown aloe is getting a whole new look. 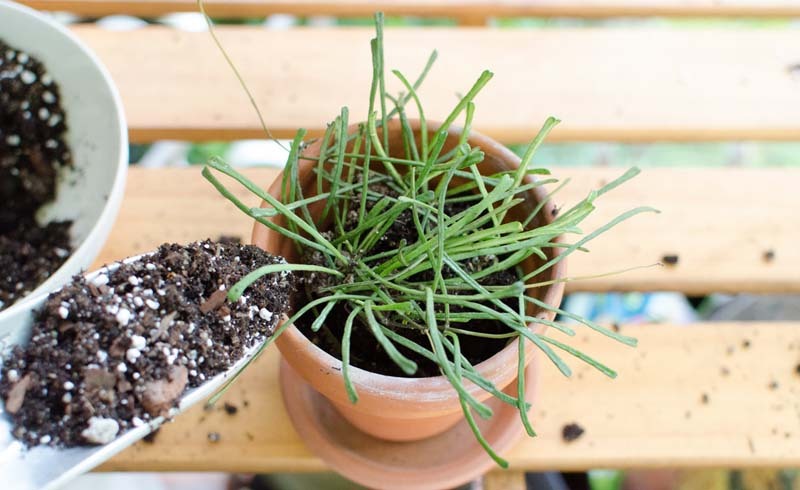 Turn the plant upside down to reveal the root system and check to make sure the root network is healthy and has filled the container. 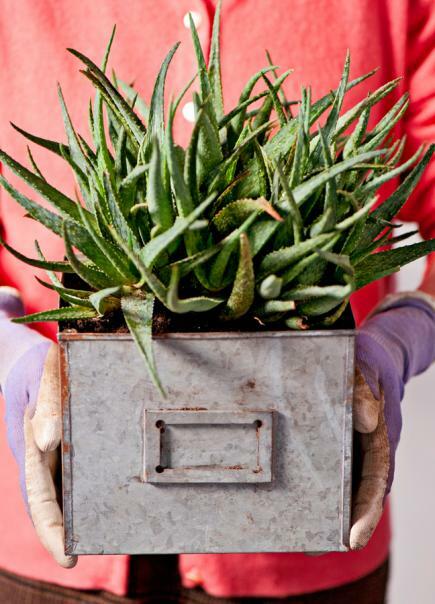 If the roots are sparse, you can still do a makeover—just select a container the same size as the previous one. If the roots warrant a promotion, find a container that is at least an inch wider than the original pot (and don't shy away from funky). 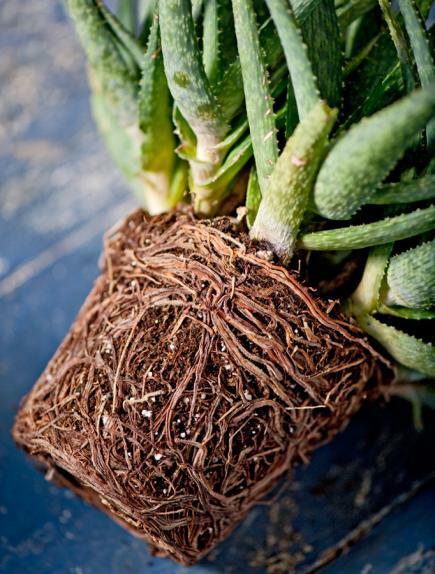 Tease roots free from the root ball so they'll quickly penetrate the new soil. If you want to share the bounty with friends, separate off a "pup" with as many roots as possible. 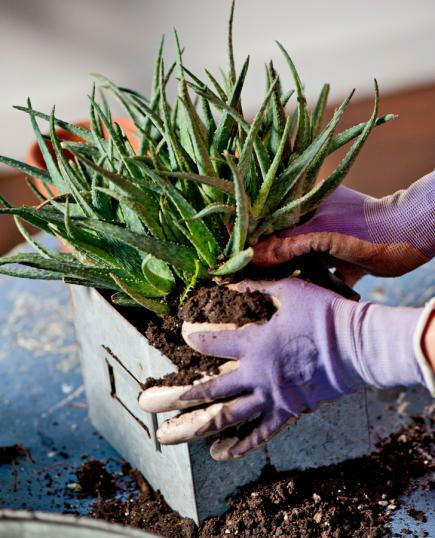 Slip the mother plant into its new container, adding soil around the orginal root network. 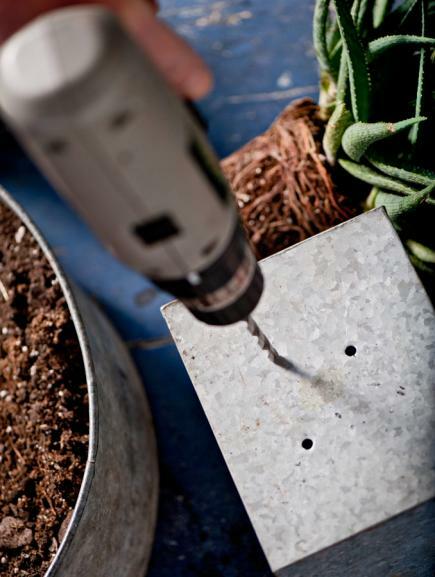 Be sure to press the soil around the roots, eliminating any empty holes. 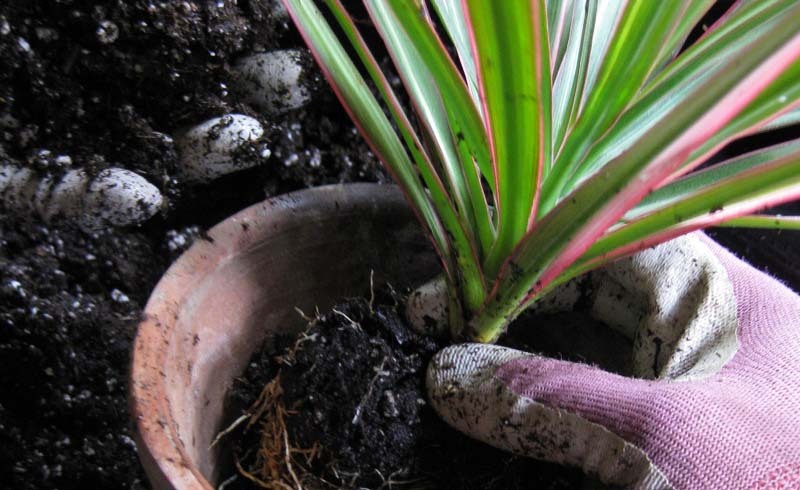 Pot the "pup" separately, pressing in the soil around the roots and giving the division plenty of expansion room to start a new family. 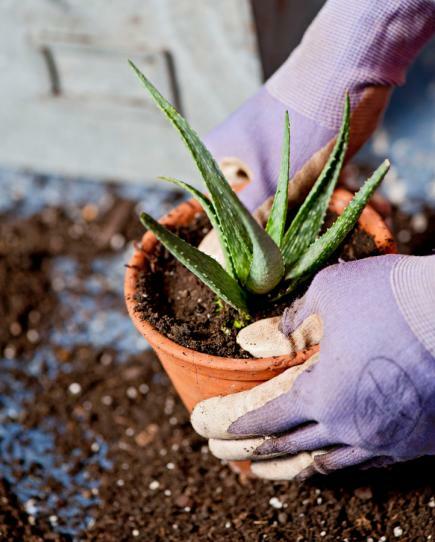 Keep the roots moderately moist and position the plant out of a baking sun for one to two weeks, then place the plants in a sunny window.